Trailing the all-important Premier League top four by 11 points when he took over in late December following Jose Mourinho's sacking, United now begin this week in fourth place having successfully reeled in a faltering Chelsea. It is a remarkable achievement in six short weeks. Yet the challenges keep coming for Solskjaer. FA Cup and Premier League clashes with Chelsea and Liverpool respectively over the course of the next fortnight will help determine how successful United's domestic 2018/19 season will ultimately be. As United prepare to host Paris Saint-Germain in the first leg of their last 16 tie at Old Trafford on Tuesday, they bring with them a record of just one win in their nine most recent knockout games in the continent's elite competition, including the 2011 final against Barcelona. Having been soundly beaten in a one-sided game by a Barça team widely considered to be among the best of all time, United failed to even reach the Champions League knockout stages the following season, while a draw and loss over two legs against Real Madrid saw them eliminated from the round of 16 in Sir Alex Ferguson's final year in charge before retirement. United were then beaten 2-0 in the first leg of their knockout tie against Olympiacos in 2013/14 under the brief 10-month stewardship of David Moyes. Only a Robin van Persie hat-trick in the second leg spared the club's blushes of elimination at the hands of a relative minnow, with that 3-0 victory still standing as the last United win in any Champions League knockout game. Mourinho's United were handed a favourable pairing with Sevilla in the last 16 this time last season, but even that wasn't enough for Champions League progress. 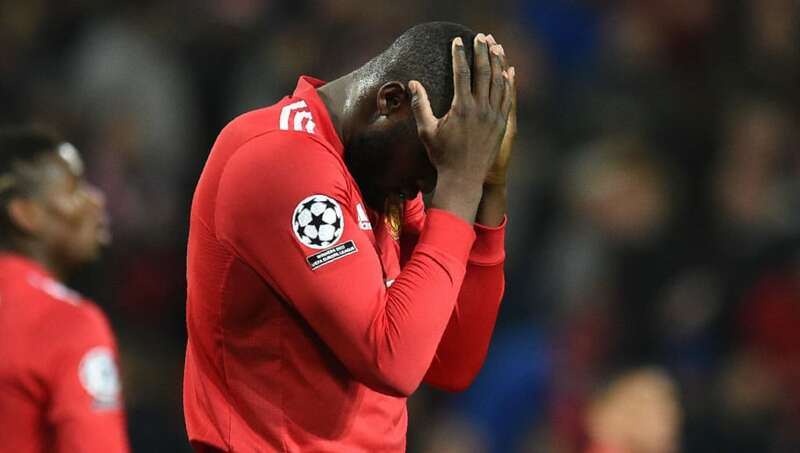 A 0-0 draw in the away leg, while disappointing, gave United the upper hand in the second leg at home, only for a dismal performance to result in a shock 2-1 defeat and elimination. And with €222m superstar Neymar out of the game with a broken foot and Edinson Cavani, a player with 296 club goals to his name since 2010, also unavailable, United's task is a little easier than it might have been when the draw was first made before Christmas. That being said, this is still probably Solskjaer's biggest test to date, not least because he carries the weight of expectation after eight barren years in the Champions League on his shoulders.